We have not been posting here regularly, but we have for sure had a busy summer I highly recommend that you add me, Alex, on Instagram for new photos from our garden and our meals almost every day. You will find me at alexandracechova on IG. Our garden has been really productive this first year, and we are now enjoying zucchinis, tomatoes, strawberries, raspberries, cucumbers and corn right from the garden. 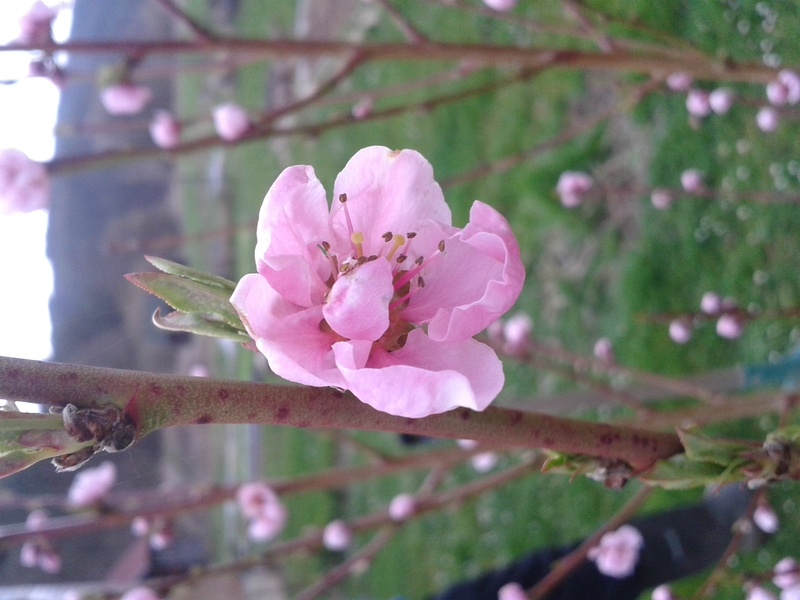 We did also get a couple of sweet apricots and peaches, but the trees need a few more years before giving us a hopefully more plentiful harvest. We are still waiting for the melons to ripen up – they have grown rapidly the last few weeks as the weather has been HOT to say the least. A Piel de Sapo waiting to ripen. 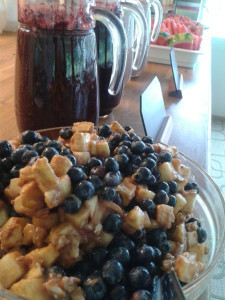 We have been to three different raw food festivals this summer, all here in Europe. The first one we joined was the Rawfest here in Czech, in Prague – attracting thousands of people during two days. You could taste different raw food products and delicous foods and fruits as well as listen to inspiring lectures and joining yoga or other activities. Petr held a lecture on Raw food myths, very interesting and highly appreciated. Among other speakers you could listen to Mimi Kirk and Tim Shieff, raw food and vegan advocates. If you are interested in learning more about Rawfest, check out their website for more info on the coming Rawfest in 2016 and make sure you come visit if you are in Prague next year in June. Petr holding his lecture at the Rawfest 2015. 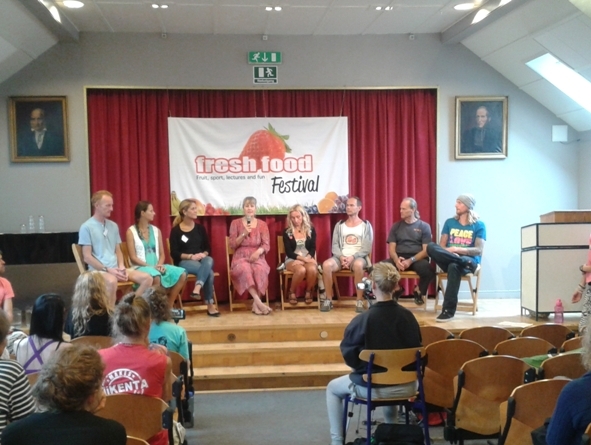 The next festival for us to visit, and work at, was the Raw food festival Midsummer Fruit Celebration, held at Mundekulla retreat center in the South of Sweden. We were invited as raw food chefs and prepared delicious meals for about 55 participants during the four festival days. It was hard work – and very rewarding, we had a blast! We also had access to the most delicious fruits that was ripe for the season and could serve a menu of fruits and gourmet raw foods, all made from whole food without any salt or oil. People sure seemed to find the foods delicious. 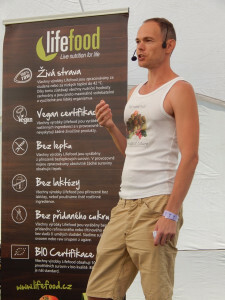 Petr also held a lecture on his experiences from eating a raw food fruitbased diet for more then 12 years, and the participants could also enjoy lectures and food demos from among others rawfood chef and skater Chris Kendall (Canada) and rawfood chef and teacher Janne Larsen (Denmark/Norway). Make sure you check out this festival next summer for four amazing raw food days at the beautiful Mundekulla retreat center. Part of the breakfast buffet at Mundekulla Raw food Festival. Panel discussion at the FFF, with Paul & Yulia Tarbath, Louise Koch, Rosalind Graham, Anne Osborne, Petr Cech, Douglas Graham and Chris Kendall. 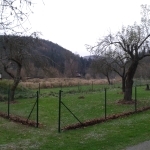 The winter seem to have left and spring has come to Central Europe and Czech republic. We haven´t had any frost for some weeks now, and even if the mornings are still cool, temperatures will clime to +15 degrees C during daytime. So, what´s going on at the mill during spring? 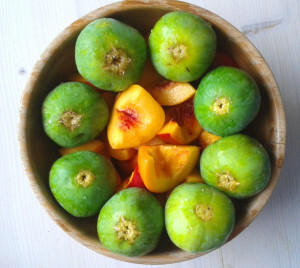 One thing I find crucial when picking what trees to plant in your garden, is that you really think about what you enjoy eating. And of course, what can be grown in your climate. 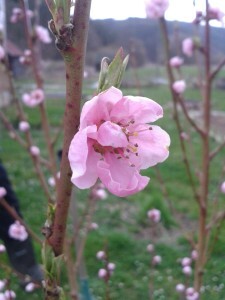 But, often times, we are pretty limited in our thinking, when it comes to planting fruit trees in a temperate climate. If you are really not that into apples – then why not plant something different? Once the tree has grown big enough to bear fruit, it´s pretty hard to move around, if you decide that you don´t like the fruit that much afterall. For us fruit eaters, it is crucial to try to grow food that we really love eating, so that we can eat as much as possible from our garden, and feel satisfied and satiated. Of course, we can eat some apples sometimes, but we already have some apple trees in our garden, and there are so many other trees to plant that can bear amazing tasting fruits! 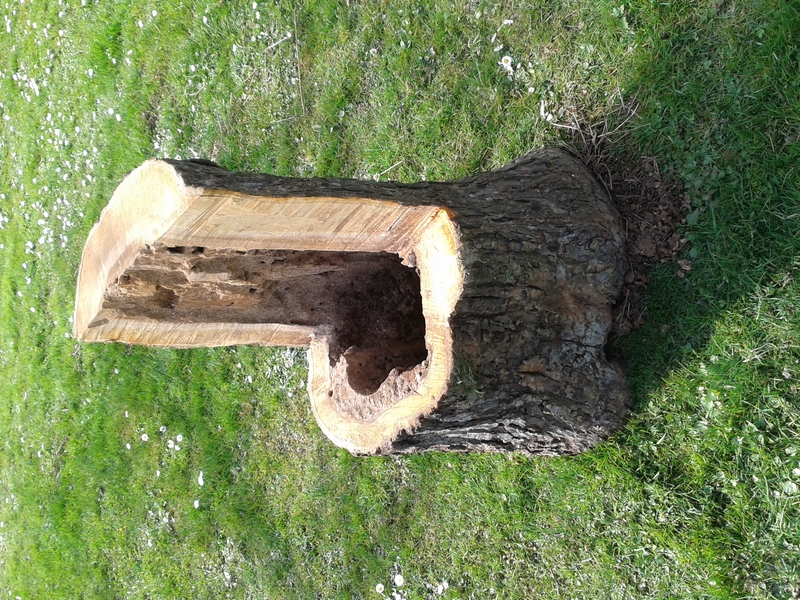 Digging the grass away from around the tree trunks. 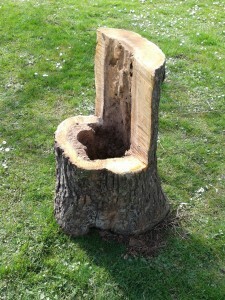 Other garden work I have been doing lately, is removing the grass away from around the tree trunks. 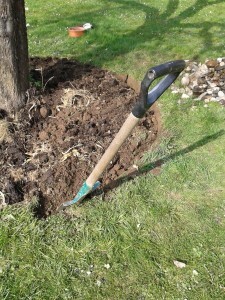 This can be done by sheet mulching which would be something I would prefer, but as it is, I just don´t have enough compost or mulching material on hand to mulch away around all our trees. 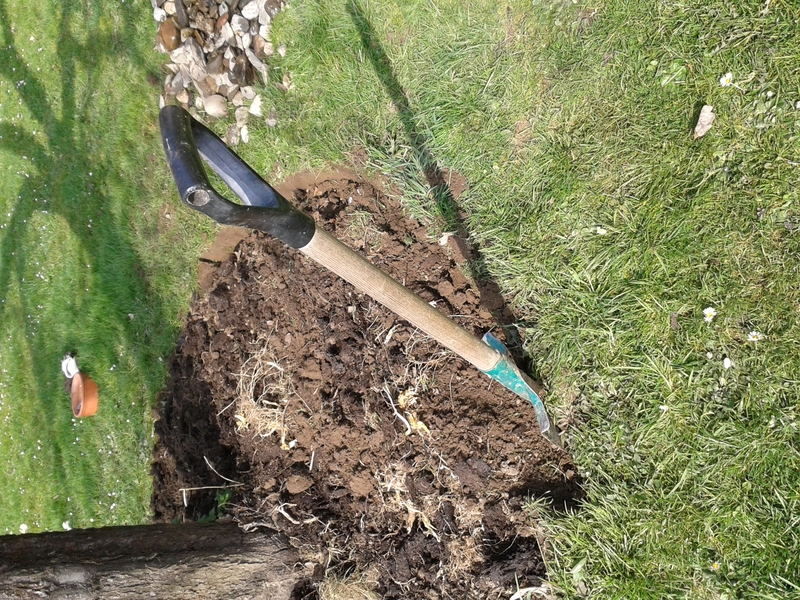 So, in my garden this year, I will do a combination of sheet mulching with digging. Digging is definitely more hard work than just layering on some card board… but sometimes you just don´t have any choice. So, I will plant some flowers and green mulch plants like borage around the trees. This way we can create our own mulch every summer. Most of our mulch this year, that will go around the trees and on the vegetable beds, will be nettles. They are ready to be slashed in maybe a couple of weeks. But nettles are really one of the best mulches you can use. Indoors, and in the greenhouse, we have started our seedlings for the summer. Zucchini, melons, tomatoes, cucumbers, red bell peppers, sallads and more are growing away. One interesting project for this year, will be planting a bed with the three sisters, the so called milpa system – corn, squash and beans as companions. 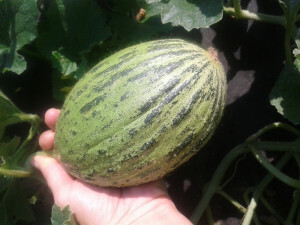 As we don´t eat much squash, I will also interplant with cucumbers and melons, we´ll see how that goes. Our dear friend Louise from www.fruitylou.com made a super sweet video about us when she was here visiting us earlier this fall. 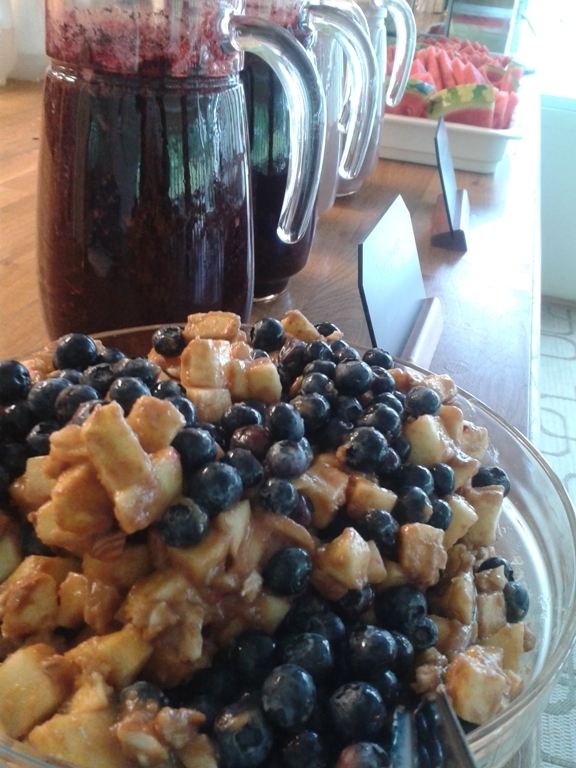 Have a look – it´s really sweet! And check out her Youtube channel fruitylouise. Enter your name and email to download our Top Ten Tips on how to succesfully eat a Raw Food Diet, including three free Raw recipes. Copyright © 2019 Fruit Retreat.cz. All Rights Reserved.